The Mourning Hope Grief Center was founded in 1994 by Pam Fuhr Dinneen and Kay Kronholm, both public educators, school counselors and crisis response team members. Pam and Kay had supported grieving children, teens and their families throughout their professional careers, and began investigating the community supports available to grieving families in Nebraska. Finding very limited resources, Pam and Kay attended numerous grief seminars, including training at The Dougy Center in Portland, Oregon. Throughout their travels and studies, they received the tools needed to develop a board of directors and establish the Mourning Hope Grief Center. Mourning Hope founders closely assessed various theoretical approaches to grief and developed the core 10-week program at the suggestion of mentor, author and trainer Dr. Alan Wolfelt. The 10-week program holds a philosophy of companioning people through their loss, allowing the griever to teach us what they need to heal on their grief journey. The companioning model suggests that grievers embrace and explore the painful experience of grief in a safe, supportive environment. Thus, the name Mourning Hope was chosen because we believe in the healing power of mourning together which will give hope for a future to live, love and laugh again. The first support group met in the fall of 1994 at the Belmont Rec Center. The group consisted of teens in addition to a support group for their caregivers. After the first group was held, families requested support for younger kids. Mourning Hope moved to the Sheridan Lutheran Church basement and began offering groups for elementary, middle, and high school aged children and their caregivers. As the program grew, a larger space was needed and Mourning Hope moved to Lux Middle School to accommodate the increase in participants and volunteers for the weekly series. While at Lux, Mourning Hope began to offer professional workshops to counselors and teachers to assist them in their daily work with grieving children. Mourning Hope also occupied space at Garner Industries and Lincoln Medical Education Foundation, before finally moving to 4919 Baldwin Avenue where we are presently located. Programming at Mourning Hope has grown from a single 10-week family grief support group to include community education events, 8-week school-based groups, young adult grief support, Summer Art Studio and Holiday Hope day programs, Bits of Hope summer support, Camp Erin Lincoln and the Spirit of Giving holiday program. 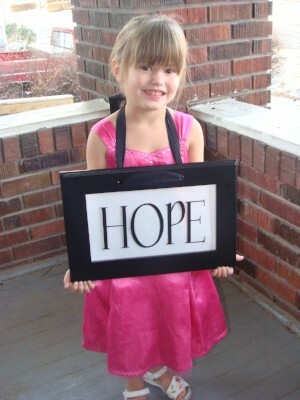 And Mourning Hope continues to grow and expand its services to the Lincoln community and beyond. "Providing a safe, caring environment for families to join together and begin healing after a significant loss became my passion over 24 years ago. With the help of many others, who gave so freely from their hearts, Mourning Hope is a place where all feelings are accepted and all people are respected for who they are and where they are in their grief journey." "Children are often the 'forgotten mourners' as families go through the grieving process. Providing a safe place for them to begin the healing process as they explore and express their feelings and experiences is what Mourning Hope offers families. Being able to walk with someone through some of the darkest and most difficult times in their lives is such a gift. They trust us with their feelings and honor us with their stories and in turn we support them in their healing. Ultimately we give hope for a brighter tomorrow."